On the sea wall in Nice, Raoul Dufy paints a portrait of his muse Jane. 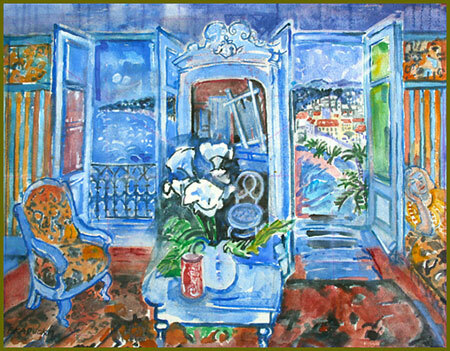 A troupe of singers and instrumentalists celebrate the painter in Waltz, Jazz, Blues and Repartee until the sun goes down and envelopes the generous, sensual world of Monsieur Dufy. 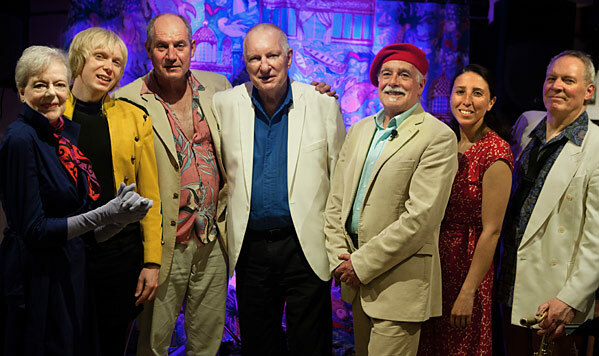 Since winning the Edinburgh Festival Fringe Award in the late ‘70s with their Jazz Cabaret Mama Chicago, composer Mike and vocalist/librettist Kate have generated a succession of Music-Theatre pieces. They have written for the stage, for television and radio, and toured with Theatre, Dance and Opera companies as well as their own ensembles, throughout the UK, Europe and beyond. Much of their work has been released on CD. Billie Bottle has a background in circus, theatre and rock, and recently sang the role of the young angel in Paul Joyce’s ‘Celestial’. Billie’s band The Multiple is both innovative and political and, with Martine, their album The Other Place is about to be launched. Tim Goodwin, stand-up comedian, TV presenter, Shakespearean actor, has toured widely in the U.K. and Europe. 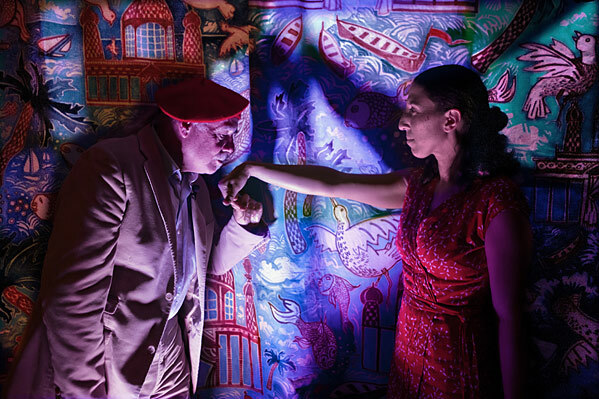 Tim creates the role of Raoul Dufy in the Westbrooks’ Paintbox Jane bringing to the character of the painter much tenderness and humour. Marcus Vergette, musician, bell-maker, sculptor, was born on the banks of the Mississippi river in Southern Illinois. He is a bass player renowned for his Mingus-influenced prowess and for his recent composition The Marsyas Suite inspired by the Titian painting. Alan Wakeman is a saxophonist of world-wide standing. Al was for sometime in the legendary band Soft Machine and he has played and recorded with Mike, with Stan Tracey, David Essex and with John Dankworth. He has a rare understanding of the role jazz can play in music-theatre, always relating to the text. Martine Waltier is a Londoner of American and Maltese parentage. She is steeped in opera, jazz, choral music and the urban beat. Martine is a featured soloist in Mike’s Uncommon Orchestra. With Billie’s band The Multiple, she writes, performs and records. Kate Westbrook, singer, lyricist and artist, has made many albums, worked in TV, radio and film. In addition to her work with Mike, her long career has spanned singing the role of Anna in The Brecht/Weill Seven Deadly Sins with the LSO, to Michael Finnissy’s The Transgressive Gospel, to Berlin cabaret. Mike Westbrook, composer and pianist is the most illustrious member of Westbrook & Company. He has received many honours and his outpouring of work in a career stretching over 50 years, ranges from scores for full orchestra to solo piano improvisation. With Kate in Paintbox Jane he creates a piece which reflects his passion for art and for theatre.